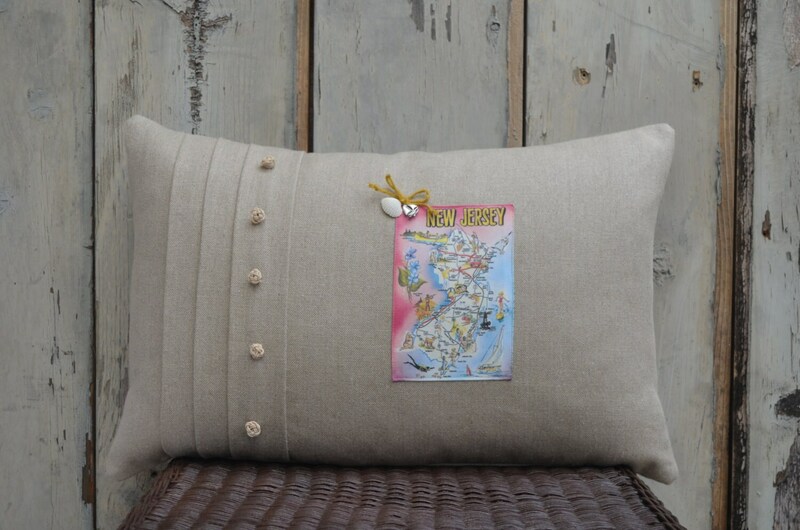 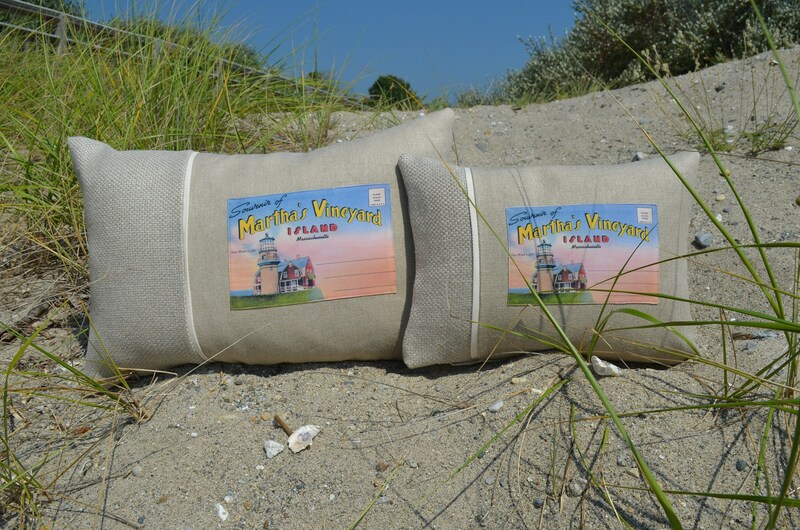 A New Jersey postcard pillow. 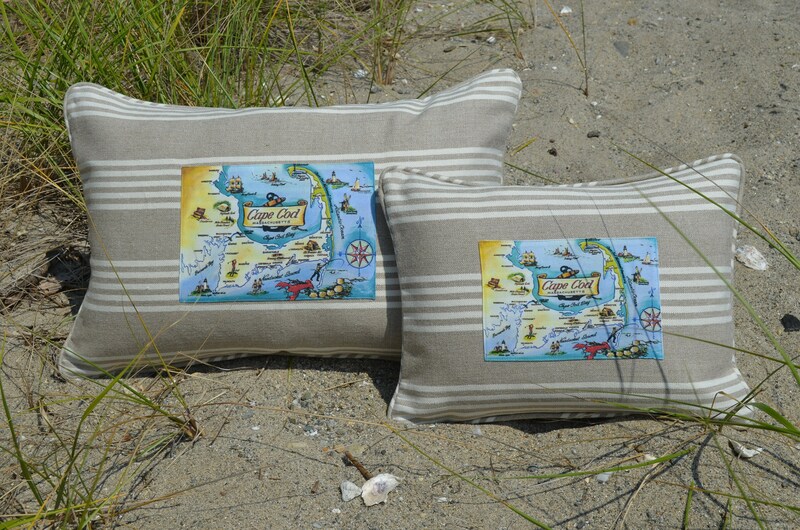 This is one of our Mid-Atlantic States region "destination" pillows . 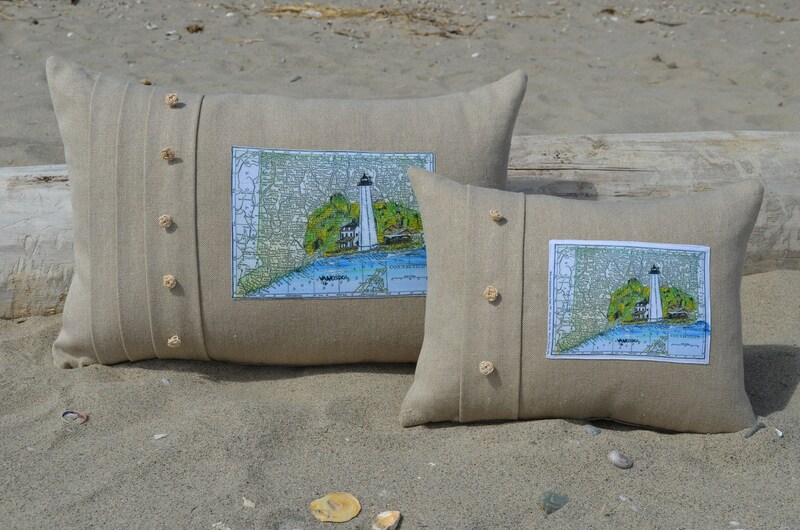 PLEASE NOTE; WE NO LONGER USE EMBELLISHMENTS ON THE PILLOWS AND THE IMAGE IS LARGER. 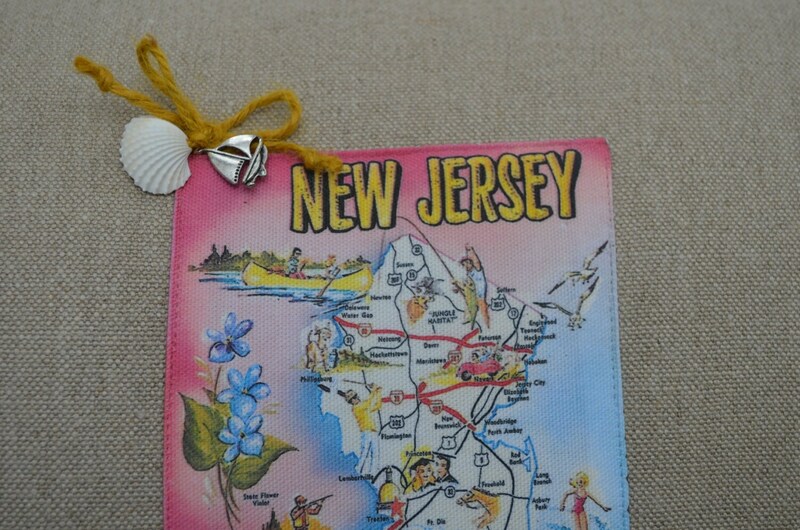 PLEASE SEE THE LAST 3 PHOTOS FOR DETAILS.